I couldn't find a thread that showed a detailed comparison between these two, but I'm contemplating which one to get before I add my LRA tank in two weeks. 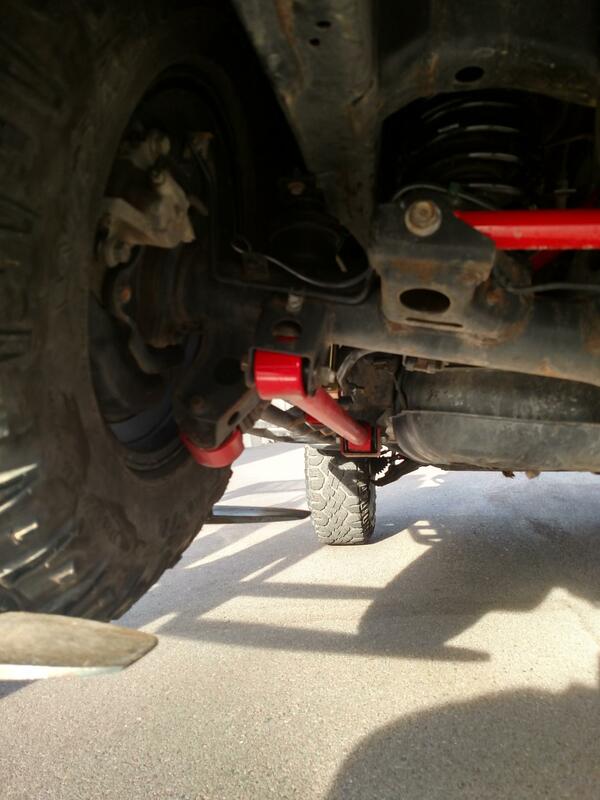 Rear suspension consists of a Fox 2.5 Factory Series Shock w/DSC adjusters and 3" Icon Overland springs. Looking to beef up the rear end (currently have stock LCA/UCA/Panhard Bar). Please let me know your thoughts/suggestions. Thanks! I just installed the RESZ fab upper lower and panhard bar. they are very heavy duty. I ordered with the duroflex bushing instead of poly bushing. they also offer johnny joints. there upper and lower LCA are also offset.they work very well. I would not do poly bushing. they are a small shop and you may wait if you order from them but very high quality product. you may want to check and see if these are still for sale. they are blue powder coat but that can be fixed with a rattle can. $650.00 is a good deal. Thorn661 and DucRider like this. Thanks for all the info. Why wouldn't you do a poly bushing on the RESZ? So if you are really needing to upgrade the rear ASAP, then going with the option of picking them up from TC is the way to go. However, I have RESZ Fab links and I have not been disappointed. I got the non adjustable links with the Duroflex joints as well which combines the improved articulation of a Johnny joint with the maintenance free care of a regular bushing. It is pretty cool! Plus, RESZ Fabs links, though non adjustable, are already sized to be ideal with a standard 3" lift found on most FJs. And I've heard and seen so many horror stories of adjustable links going bad that I just want to stay away from them at all costs. And being one who enjoys a nice quiet ride off and on-road, I don't have to worry about a joint like a Johnny joint wearing out and making squeaking or knocking or clicking noises over time. If you're willing to wait for some time till Black Friday, that's when RESZ has a killer sale on their links as a kit every year and that is the best time to get them if you want to save some money. But regardless of when you order them, since they're all pretty much made to order so expect a lead time of a couple weeks to a couple months. Granted, I ordered mine during times of the year that are probably the busiest for them so if you ordered right now hopefully it would be sooner. CRFjockey and DucRider like this. DucRider if you look at the photo of the LCA you can see how much flex you get in the bushing on the axle. you will not get that with poly. the panhard bar only comes with poly. Looks like he has a set in stock, but only with poly bushings. 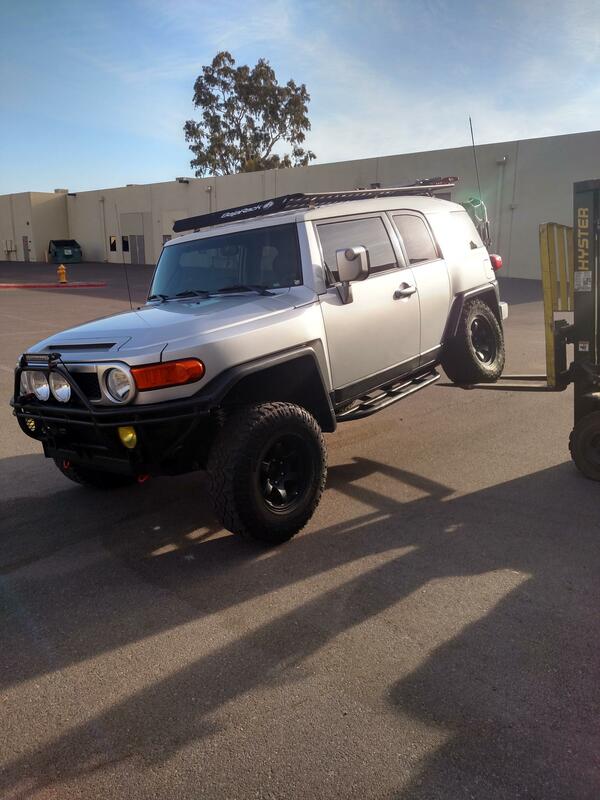 I'm installing a set of Icon 3" overland springs next weekend and then going right into installing an LRA 30 gallon aux tank. I need to get these in before I put the tank in, so timing is critical! In that case you'd probably be fine. Duroflex are great for Long travel setups but if you just have a standard lift the poly should be great. I ended up ordering the Duroflex since they don't have the maintenance requirements of a poly/johnny or heim and the added flex/vibration resistance is a great feature. Mike at RESZ has a set in stock, but they're various colors (blue, red, bare metal). He hooked me up and is shipping them out today, so huge kudos to him! I found a local powder coater that can change them all to black for $100 total. Should be able to get it all done just in time! JKFJ08, FJX2000 and Firemedic831 like this. There is a chap over on Taco world, I think... makes a weld on adaptor to raise the stock bar back to vertical. It comes with multiply height adjustments to tune the bar. The bracket is welded on top of the stock mount axle side. @debFJVT has it mounted. I ended up ordering the set of rear upper and lower links with a panhard bar. It's all shipped and the tracking number says it will arrive next Thursday. Gotta give a big shout out to Mike at RESZ fab for making it happen this fast! Can't wait to get these installed with the 3" Icon overland springs, then mount up the LRA tank!